Watch video of Melissa Bell’s keynote presentation or her discussion with Jeff Jarvis. 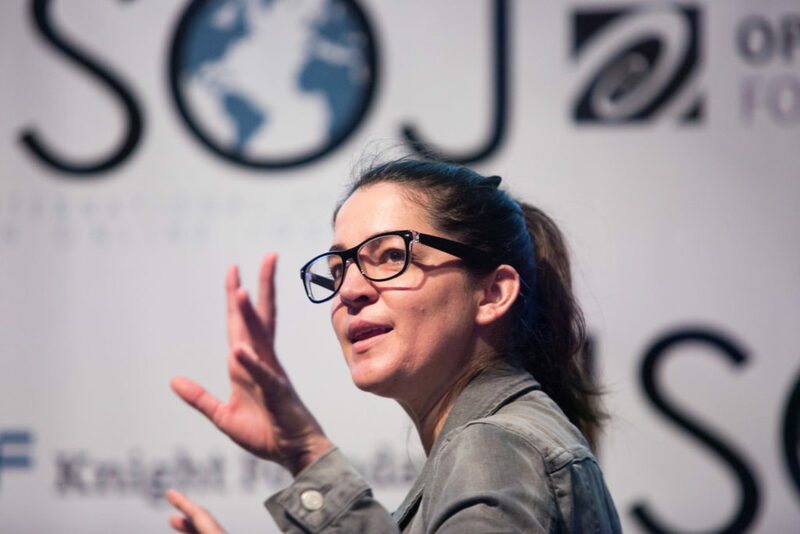 The journalism industry is in desperate need of change, according to Vox Media publisher Melissa Bell during her keynote speech April 22 the 18th International Symposium on Online Journalism (ISOJ). When Bell co-founded Vox.com in 2014, she said they were convinced it could be the answer to the broken news system they saw around them. But after the 2016 presidential election, she said she realized it wasn’t enough. Bell went on to say that the problems stacked against journalists have only increased. From developing stories to accommodate multiple new platforms like Amazon Echo or virtual reality headsets to falling subscriptions and declining trust among readers, she said news outlets are not doing enough to catch up. When Bell realized that Vox hadn’t solved all the problems she and her co-founders had set out to tackle, she said she got angry. “We knew there were problems, we knew there was a service we were not providing as a news industry and we set out to solve it by starting Vox,” Bell said. “The news is still totally broken. I had not fixed the news. We knew the problem existed, but we were not doing enough. The media industry was not reacting fast enough. Bell offered a few solutions, suggesting the entire industry join forces to tackle these problems and start focusing on an audience that increasingly distrusts news outlets or no longer pays attention as much as they used to. Referring to the past when ABC, NBC and CBS were the only broadcast outlets in the country, Bell said journalists got comfortable and began to see themselves as “truth holders instead of truth seekers.” They stopped confronting their own biases and oftentimes expected people to blindly trust them. This needs to stop, she urged, in order to get the audience back. She also said journalists need to collaborate in addition to thinking about what their readers’ needs are and what needs journalists aren’t meeting. “News is a product,” said Bell, agreeing with her interviewer Jeff Jarvis, director of the Tow-Knight Center for Entrepreneurial Journalism at CUNY. Jarvis quickly added that he actually hated the term “product” and preferred “service” instead, which Bell also agreed with. Playfully anointed by Jarvis to “save” American newspapers, Bell said one way newsrooms can begin meeting their readers where they are is by looking at the newspaper as just another platform within a media company, alongside podcasts, blogs, videos and social media campaigns. 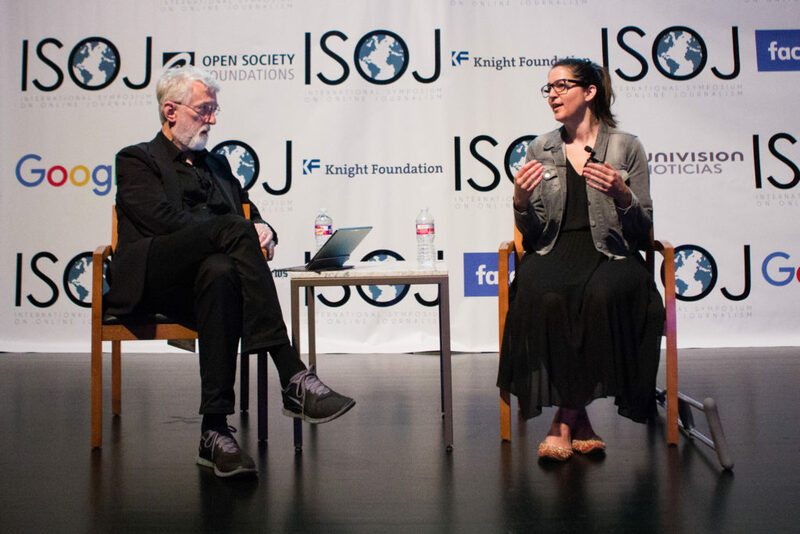 The 18th ISOJ took place in Austin on April 21 and 22. Bell’s talk, as well as all other ISOJ panels, are available on YouTube and Facebook Live. They will be available shortly at http://isoj.org.